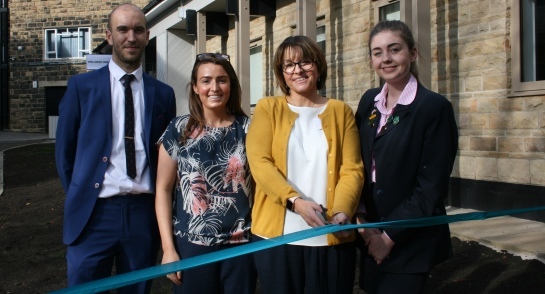 A ribbon cutting ceremony marked the official opening of a brand new Wellness Centre at Harrogate Ladies’ College recently led by Kate Majid, Chief Executive Officer of The Shaw Mind Foundation. A launch day programme of wellness-related activities included; Yoga, sensory based writing and fitness; workshops on understanding Alzheimers, self-defence and reflexology as well as sessions on exam anxiety and the importance of sleep which gave pupils and staff a taste of what to expect in the future. The major new wellness initiative is designed to support pupils aged 2-18, parents and staff and will be the hub for a wide range of activities to support and encourage all-round physical, social and mental wellbeing. Parents and pupils were also invited to listen to a special presentation by Stonewall ambassador Rob Partington who focuses on tackling homophobic, biphobic and transphobic bullying in schools. As the Headteacher at a school in Manchester, Rob has fully embedded the concept of equality, diversion and inclusion into his school’s ethos. “I am hugely grateful to all of our guest speakers and to Kate who spoke to our younger pupils at Highfield about the importance of looking after their mental health and coping with the emotional demands of modern day life. “Being open to each other’s differences and what we can learn from each other is central to our wellbeing and our ability to grasp new opportunities. 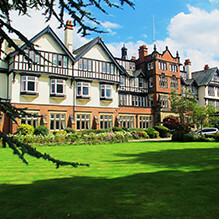 The new facility will offer mindfulness training; meditation; massage and reflexology; stress prevention and management; nutritional advice as well as a fully-staffed Medical Centre. Led by the Director of Wellness, Mr Richard Farnan the wellness programme will also include weekly parent and baby activities for members of the local community.